If you think or know termites are in your home, schedule a free inspection. If termites are found, we'll get them out and protect you from future infestations. 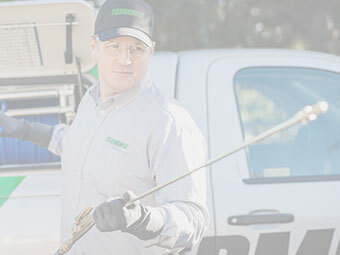 Our services stop termites in their tracks. Once they're under control, you'll never pay for future termite treatments or damage repairs again, as long as you keep your plan. 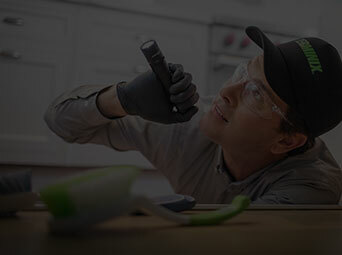 Schedule a FREE inspection and get guaranteed protection today. If termites are found during your inspection, we'll recommend one of the services below. The strategically installed termite bait stations target foraging subterranean termites. We'll defend your home and ensure they don't come back. Our perimeter treatment eliminates subterranean termite colonies and helps keep them from invading again. Our home fumigation ("tenting") process is a complete and effective treatment for getting rid of your drywood termite problem. We'll start by looking for signs of termites and potential access points. If termites are found, we'll defend your home. If not, we'll protect against future infestations. Qualifying properties are backed by our ultimate protection guarantee. The strongest guarantee in the business. 1ULTIMATE PROTECTION GUARANTEE (UPG) IS AVAILABLE FOR QUALIFYING PROPERTIES ONLY. Limitations apply. Not available in all areas. For complete terms, including coverage areas, call 1.800.837.6464. 2If within 30 days after an inspection or treatment you aren’t totally satisfied, we will refund the treatment or coverage charges, reimburse any prepaid services and cancel your plan. 3Offer valid only at participating locations. Single-family dwelling units only. Offer may not be combined with any other offers or discounts. Discount applies to purchase of new annual termite treatment plans only; discount does not apply to Dual Action Protection Plans or termite coverage plans. Additional limitations apply. Not valid for existing termite customers. Consumer Affairs rating, as reported on 11/29/2016.